Lines from opening credits of Stalker, attributed to a seemingly fictitious Professor Wallace – although he may be the Professor character in the film. 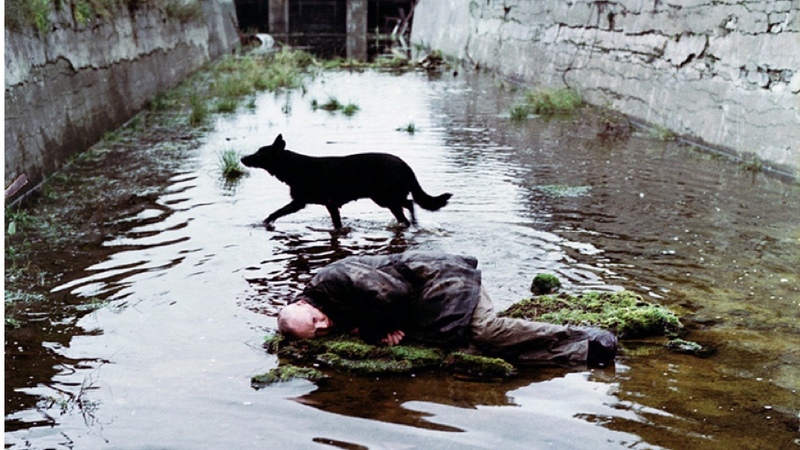 Stalker and Andrei Tarkovsky are both very relevant still to modern filmmaking. 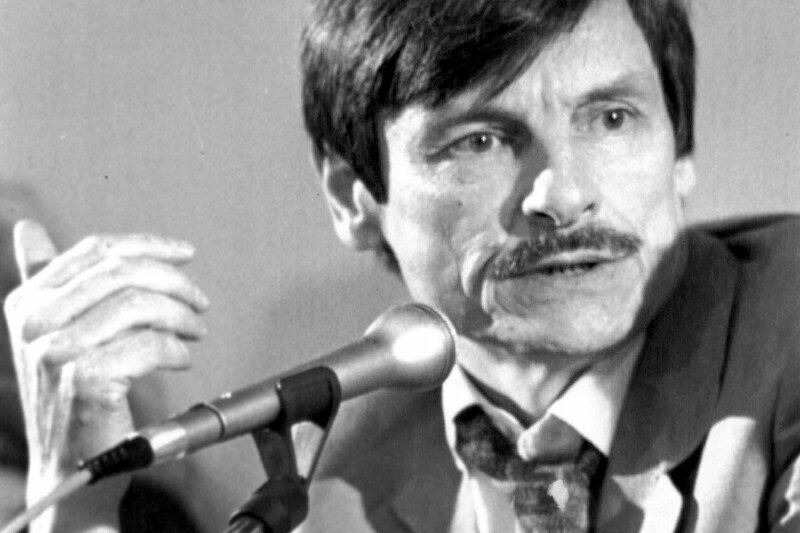 During his career Tarkovsky managed to circumvent strict Soviet censorship to make films that pierce the human psyche so thoroughly that he still influences a great many people today. This is seen very directly in some of the more cerebral filmmakers like Terrence Malick, and indirectly in the work of other great writer-directors like Michael Haneke, Paul Thomas Anderson and Lars Von Trier (especially his earlier work) to name just a few. 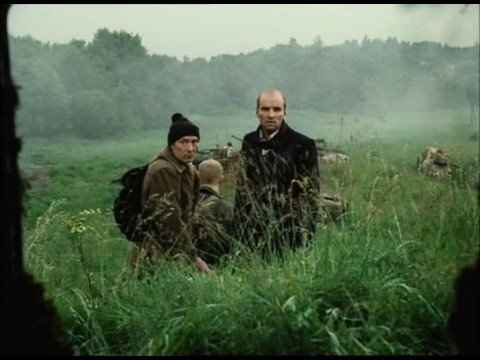 Although the pace of Stalker is of gradual brooding intensity, the actual production itself played out more like a noir film. 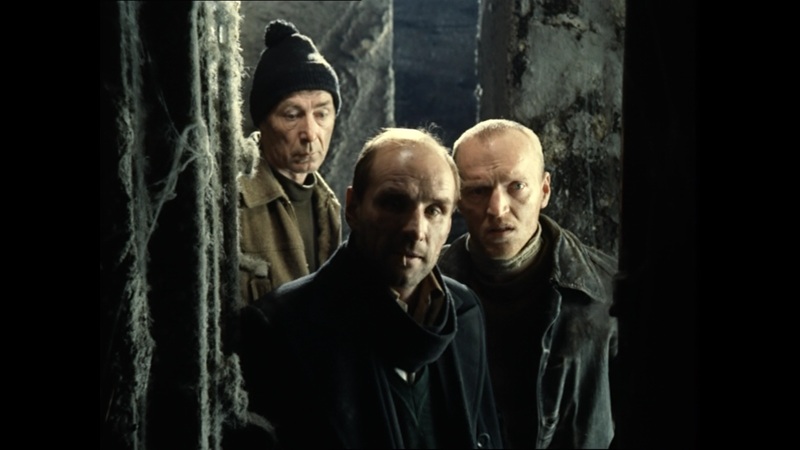 Taken very loosely from a 1971 novel called Roadside Picnic by the Strugatsky brothers Arkady and Boris, the version of Stalker available to us is essentially the second version that was made. After filming in Estonia for roughly half a year to make the first version of the film, the crew and cast returned to Moscow to find that all of their film stock was heavily tinted dark green. They had been using a Kodak film stock unused before in Russia and many thought it had simply been processed wrongly. Tarkovsky always suspected foul play, either by a rival filmmaker or the state, rather than technical incompetence, although it was never proven. They were forced to start again from scratch. 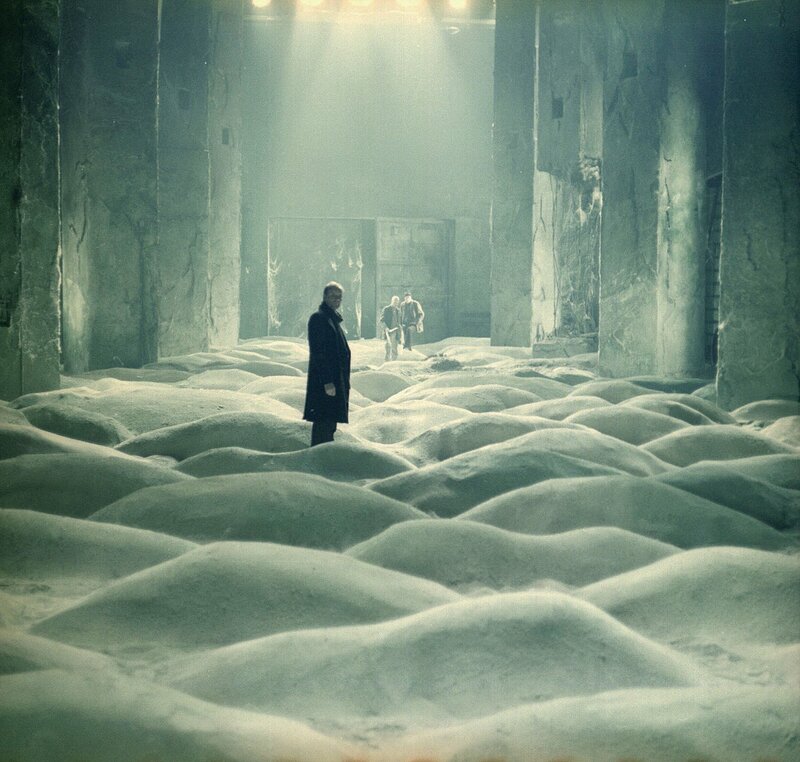 The setback led in part to Tarkovsky having a minor heart attack in 1978; this was only the first of many health issues that would become associated with the film. The next year, Tarkovsky returned to the outskirts of Tallinn in Estonia. Filming took place around a disused heavy industrial zone. Some years later, Tarkovsky, Larisa Tarkovskaya who was his assistant director and wife at the time, and Anatoliy Solonitsyn who played the Writer all died from similar cancerous diseases, which many believe were related to the prolonged shoot in a contaminated heavy industrial wasteland, downstream from a chemical plant. Like most of Tarkovsky’s work, one can expect a somewhat unorthodox style. Do not expect the story beats to slot perfectly into Blake Snyder’s beat sheet from ‘Save The Cat’ or any other self-proclaimed screenplay writing guru. 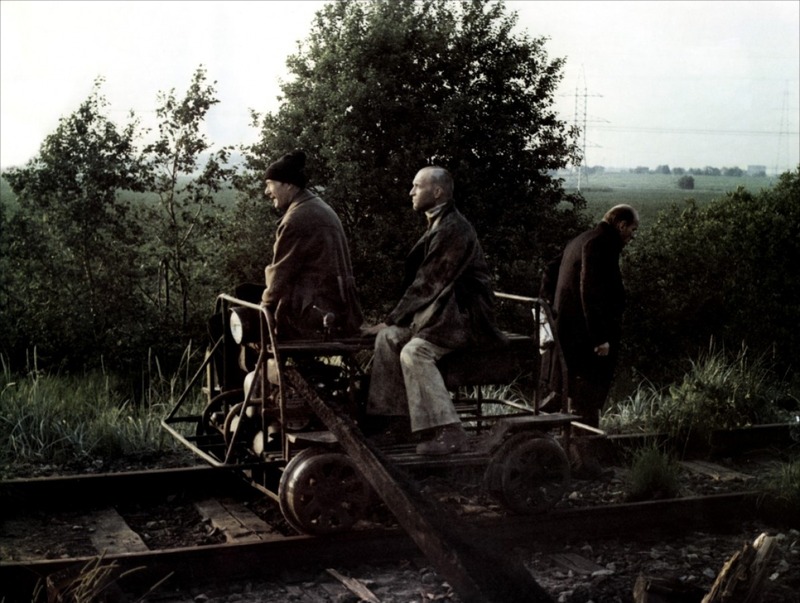 While a non-conformist film in many ways, Tarkovsky shows what can be done creatively with conventional linear narrative and a three act structure. In fact the structure is rather simple at its core. A man named Stalker meets with two men, Writer and Professor. The Stalker is to be their guide into and through The Zone: a forbidden area in which lies an elusive Room where one’s innermost desires will come true. While the structure is basic enough – progressing as the characters move deeper into this sylvan abyss known as the Zone – the film is designed to encourage viewers to fill in the gaps with their own presentiments. The Room is defined as a place impossible to just walk into. To reach it one must take the longest route and often, people will only be able to cross that threshold once they have become “wretched”. This is the structural premise of most of Act 2; it allows a space to move the story forwards slowly, but still big enough to fill with the lofty ideas Tarkovsky had in mind. Meanwhile, Act 2, The Zone – spills over either end of Act 2 into Acts 1 and 3 before being straddled by the real world, opening and closing in Stalker’s house, in which the Zone is merely discussed. Much continues to be written of its continued thematic timelessness. 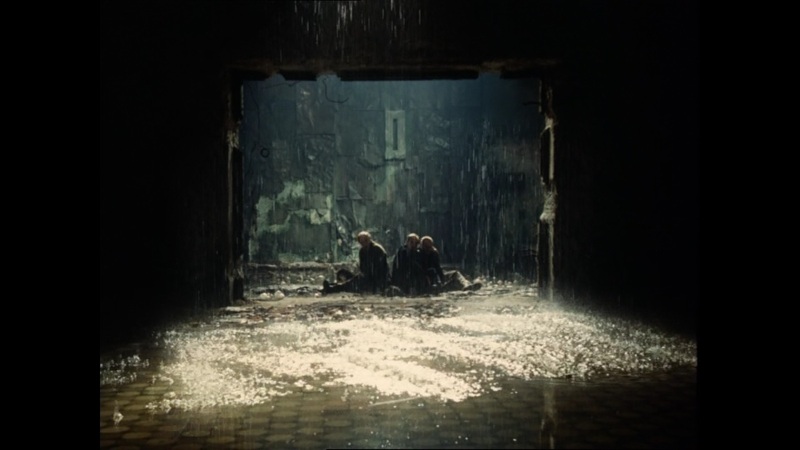 Some believe Tarkovsky wanted to discuss religion, others believe the film was a metaphor for the Soviet gulag camps. I personally see it as an exploration of whether happiness is the core factor of humanity’s quest to discover the meaning of life. And if that is the case, what is happiness exactly? That there are no easy definitions is part of Tarkovsky’s brilliance. To fully comprehend a film like Stalker it is important to realize that the script was conceived with a very specific visual style in mind. Tarkovsky always wrote to direct. And the visuals add a lot to the narrative of the film here. Tarkovsky was very adept at minimising dialogue and maximising the potential of the image to tell a story or explore ideas. Stalker was composed of a very small number of shots. In fact there are less edits in the film than minutes it takes to tell the story. Camera movement is very rarely noticeable and usually motivated by movement of the characters. 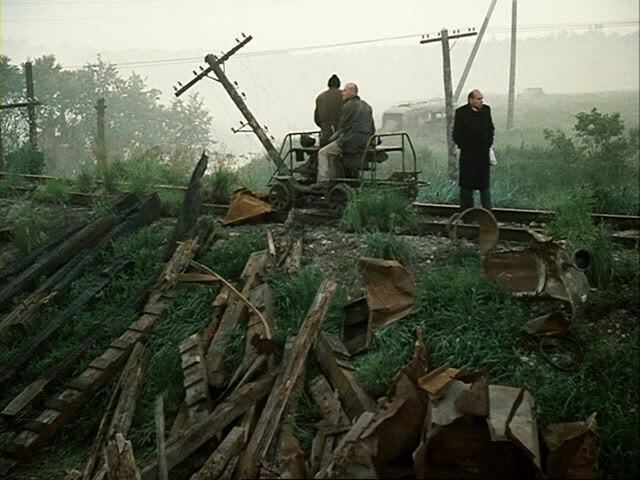 This brooding style allowed a lot of space for the viewer to contemplate the deeper questions Tarkovsky was inviting. Colour is only used when they are in The Zone, Act 2, while Acts 1 and 3 essentially bookend the film in a sepia-type colour known as high-contrast brown monochrome. It is an unusual triad of characters. Rather than having an antithetical character; the bad guy in the film, that role is more likely reserved for the world itself, which is a powerful presence throughout. Drama and suspense among the characters emerges from the way each one learns how to deal with the series of challenges The Zone presents them with. Interesting also perhaps for directors is the idea of three or triangles. Notice how the three characters are used interestingly on screen; how Tarkovsky uses a lot of triangles in his staging of the performers, and how this relates to their relationship with one another and towards the world itself. It is a theme that runs throughout the film. Constant in his belief that the Zone is some form of Elysium, he is very cautious. He is an ex-convict who lives, when outside the Zone, in extreme squalor. His greatest joy is to carefully guide people who wish to see the Zone and find the Room past the soldiers and police officers who guard its perimeter. Alcoholic and nihilistic who believes the world is a terse, boring place where nothing interesting happens. Says he is visiting the zone to rediscover his “inspiration” but does not really know what he really wants. There is a deeper sense however, that he wants to visit the Zone to satisfy his assertion in his first scene that it will be just as boring as everywhere else. His pessimism actually seems to serve him well in the Zone. It protects him from the danger his own ignorance leads him into. A physicist with a practical and analytical view of his surroundings, Professor is intrigued by that which begs explanation. He is thoughtful and precise. He knows, or at least thinks he knows a lot about the place already, certainly far more than Writer does. But his mission to the Zone turns out to have a far more nefarious premise than one would expect. Inciting Incident – minute 12 – Despite his wife’s protestations, Stalker leaves her and his child on his mission to enter the Zone as a guide. Although it is clear he has been planning this all along, he has said nothing to his wife. He leaves her behind, distraught. Strong Movement Forward – minute 21 – The three men, having made one another’s acquaintance, set out on their journey. The first hurdle will be to cross the boundary into the forbidden Zone. This is one of the most energetic scenes of the film and the sudden activity after a ponderous start creates a real sense of adventure and danger as they evade detection from the authorities who guard the fenced-off perimeter of the Zone. End of Act One Turn – minute 37 – Upon reaching a motorized rail trolley, a dreamy sequence plays out as they move deeper into the Zone, well away from the armed police who guard the perimeter. The guards are too afraid of the Zone to follow. The image now flips to colour as they have arrived and must continue into the Zone on foot. First Trial/Conflict – minute 55 – With the Room in sight, Writer starts to get restless. Unhappy with the protracted route Stalker has taken them on, he decides he wants to take a short-cut, despite Stalker’s warning that it is too dangerous. Stalker also confiscates a bottle of spirit Writer smuggled in with him and pours it all away. This leads to conflict. Writer goes his own way and is confronted with an even greater source of conflict, which is merely suggested: that of the Zone’s capriciousness. Writer is quickly humbled and returns to the group. Midpoint ­– minute 72 – Professor turns back without telling the others after leaving his bag behind. Stalker and Writer have no choice but to press forwards because the Zone changes all the time making it impossible to retrace one’s steps. When Stalker and Writer emerge from a building, Professor is already there. Stalker believes it to be a trick of the Zone. They are lost and Stalker refuses to move anywhere until the Zone calms down. Assumption of Power – minute 84 – The Zone clears and Stalker regains the clarity to progress towards the Room. This moment of lucidity also allows him to find responses to some of the philosophical questions over which Writer and Professor were bickering. End of Act Two Turn – minute 118 – They finally reach the threshold of the Room. Stalker has never been in the Room, nor does he have any interest in going in. Decision – minute 121 – Do you cross into the Room after coming all this way or don’t you? Do you know what your true innermost desire is? If so do you really want to have it realised? The philosophical apogee of the film is about to take place. The question begs: is a man’s innermost desire one that will leave him unfulfilled back in the other world? Point of No Return – minute 125 – Professor reveals the real reason behind his trip to the Zone. He has been planning to blow the Room up so that it cannot be accessed by the wrong people, whose innermost desire would be to oppress and hurt others. Stalker fights him to try and get the bomb, but Writer, having had a change of heart defends Professor. Climax – minute 132 – Accused of being a fraud, Stalker admits that for him real happiness is being able to bring others into the Zone; to assist them in achieving what they want to do more than anything else. He also admits that he has never actually seen a man leave the Room and get everything he ever wanted. It seems man may not really want his innermost desires, but want simply to have an unrealised innermost desire. Professor decides not to detonate the bomb after all. He dismantles it and throws it into the water.